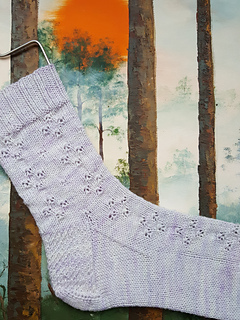 Who doesn’t love delicate, soft socks? 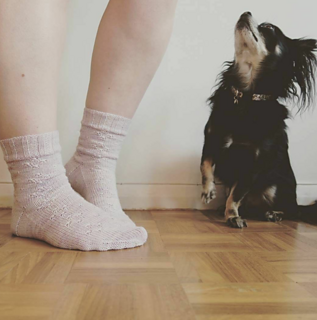 Whether you knit them for yourself or someone you love, any month is a great month to gift a pair of socks, but especially February! 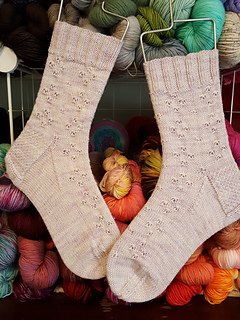 The Love Along Socks are a fun, intuitive knit with cuff/top down construction on 9 inch circular needles, but have no fear, there are instructions for magic loop and DPNs for those who love those methods as well. 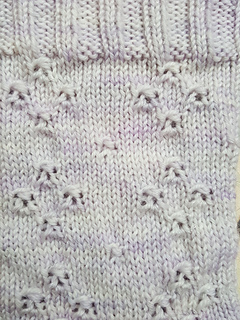 Magic loop is used for toe decreases and Kitchener stitch to close the toe (YouTube has a great tutorial). Use your imagination for yarn choice but suggested yarn is from Yarn Café Creations (Instagram @yarn_cafe_creations) on their sparkle base. It is wonderfully soft and squishy and your feet will thank you for it!